I chose Jujitsu mainly because it doesn't relay on strength to immobilise an opponent, and there is so much to learn. I got fed up with arts that rely on you moving up and down in a line all lesson, I like to get stuck in! I originally started with a style of Okinawan karate when I was very young, but eventually I realised it wasn't for me. I have also tried Tae Kwon Do, kickboxing and Chinese boxing. I like styles that are practical and effective, which work on disabling an opponent quickly, with minimal effort or strength. I also still train in kung fu, and am a 2nd Degree black belt in that art as well. I remember in my first class being shown some simple escapes from strangles, and how to apply a simple arm bar. I was so impressed with how effective these techniques were and from then on was eager (maybe a little too eager) to learn more! It was so different from karate which I had done previously. I also remember watching a couple of black belts train, thinking, 'I want to be like them'! Like everyone I thought about it from day one. When I first started I wasn't the most confident kid and it seemed like an impossible task. But as I went on, I worked my way through the ranks and my confidence grew. In the end It wasn't passing the grade I was worrying about, it was being worthy of what I deemed being a black belt was, so I pushed my standards high and trained hard, and I still do today. Yes it was, but it was well worth it. Getting my black belt was one of my proudest achievements. The fact that it takes a lot of work is what makes it so special. When I first started I never thought I could do it, but I never gave up and worked hard. There's a great old saying 'a black belt is a white belt who never quit'. 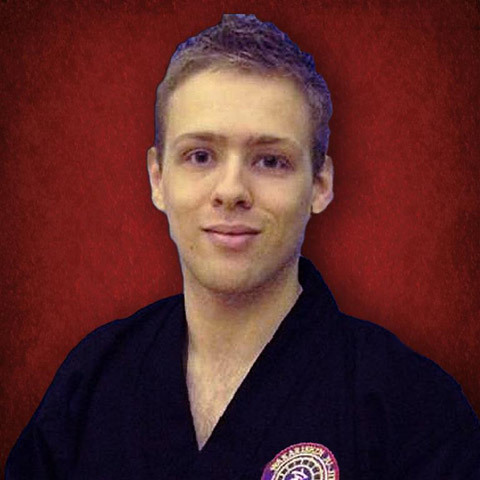 A black belt is a symbol of a fantastic achievement and a tribute to hard work and commitment. It also means you've learned the basics and are ready to learn Jujitsu properly! Yes unfortunately. But my training gave me the confidence to deal with the situation calmly and remain in control, and I came out unscathed! I have done in the past. I have enjoyed competing in ground work and sparring. I'm sure I still have some competitions left in me yet. I think Jujitsu has had a massive positive impact on my life. It has made me more focused and determined to achieve my goals. It's my biggest goal in life to follow in the footsteps of Sensei Ian, like he has with Sensei Parker and teach professionally, full-time. Jujitsu is all about technique. You don't have to be super fit or super strong, you just have to understand how to manipulate your opponent. Jujitsu is very much a thinking art, and is about developing mind and knowledge, as well as physical skill. To develop and maintain high standards, it is important to train as regularly as possible. Although I only attend club twice per week, I am fortunate enough to be in a position where I can train daily, working on kata, weapons and mat work. Simply this, enjoy yourself! There's a long road ahead, a challenging journey, but it's all good fun. Just remember to absorb what you are learning, practice it and enjoy it.